James Raymer obtained his PhD in Geography from the University of Colorado, Boulder, in the United States. From 2004-2012, he worked in the Division of Social Statistics, School of Social Sciences at the University of Southampton in England as a Lecturer / RCUK Academic Fellow and Reader. In 2013, he moved to the Australian National University as Professor of Demography and became the Director of the Australian Demographic and Social Research Institute (ADSRI). His research interests include migration estimation and dynamic population modelling. 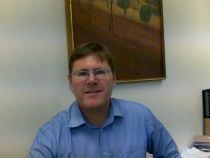 Prior to moving to Canberra, he led projects at the University of Southampton on combining internal migration data, estimating consistent and complete matrices of international migration flows and dynamic population modelling. He also worked with the UK's Office for National Statistics to improve their methods for estimating internal and international migration flows and to incorporate measures of uncertainty in their population statistics. He has published articles in demography, applied statistics, regional science and geography, and has co-authored three books entitled The Indirect Estimation of Migration, Demographic Aspects of Migration and International Migration in Europe. He is a currently a member of the Editorial Boards for Demographic Research and Demography and is on the Council of Advisors for Population Europe. James Raymer became a CReAM External Research Fellow in March 2014.